His Excellency, Mr Michel Deelen, the Deputy Ambassador, Netherlands Embassy, Lagos, came on an orientation visit to IITA-Ibadan on 24 February. He was welcomed by Dr Ken Dashiell, Deputy Director General for Partnerships and Capacity Development, who gave an overview on IITA and its work on linking with the private sector to catalyze development through agribusiness and commercializing technologies through its Business Incubation Platform (BIP). Hilde Koper, Head of the Project Administration Office, gave a rundown of past and current collaborative projects between the Dutch government and IITA that includes ongoing research in the CGIAR Research Programs on Integrated Systems for the Humid Tropics (Humidtropics) and Climate Change, Food Security and Agriculture (CCAFS) through the Wageningen University. Explaining about his visit to IITA, Deputy Ambassador Deelen said that the Embassy is a “broker” between Nigeria and the Netherlands and that it is more concerned with trade and industry, and emphasizes connection to markets. 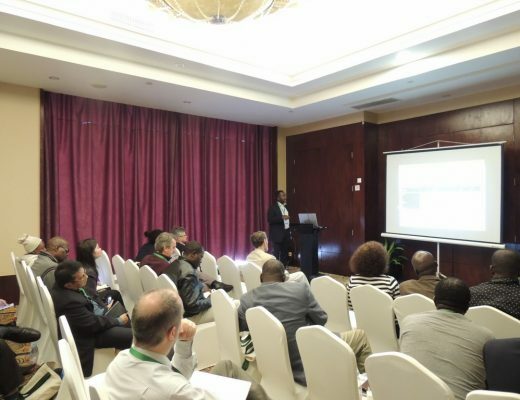 He said that there seemed to be a “disconnect between what technologies are available and how Nigerian farmers run their business.” Thus, he said he was happy to hear that IITA had taken the bold step of commercializing technologies for farmers. 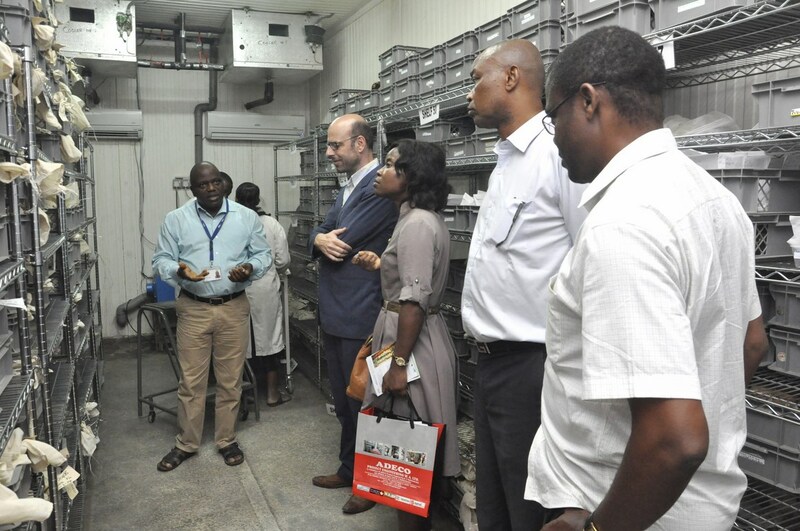 The Deputy Ambassador was taken on a tour of the Institute’s facilities that included the Pathology Lab, Genetic Resources Center, IITA Youth Agripreneurs, BIP with the aflasafe and Nodumax plants, and the Cassava Waste Conversion to High Protein Animal Feed project of ILRI. He was accompanied by Ms Sonia Odije, Adviser, Economic, Trade and Investment Affairs. Deputy Ambassador Michel Deelen (center) at the Genetic Resources Center. The Dutch envoy said he was very impressed with IITA’s work, especially on BIP and the youth initiatives, and he would certainly come back to IITA to explore further collaboration.